Amanda and I took a drive over to Providence, Rhode Island yesterday in search of two things - the grave of science-fiction author H.P. 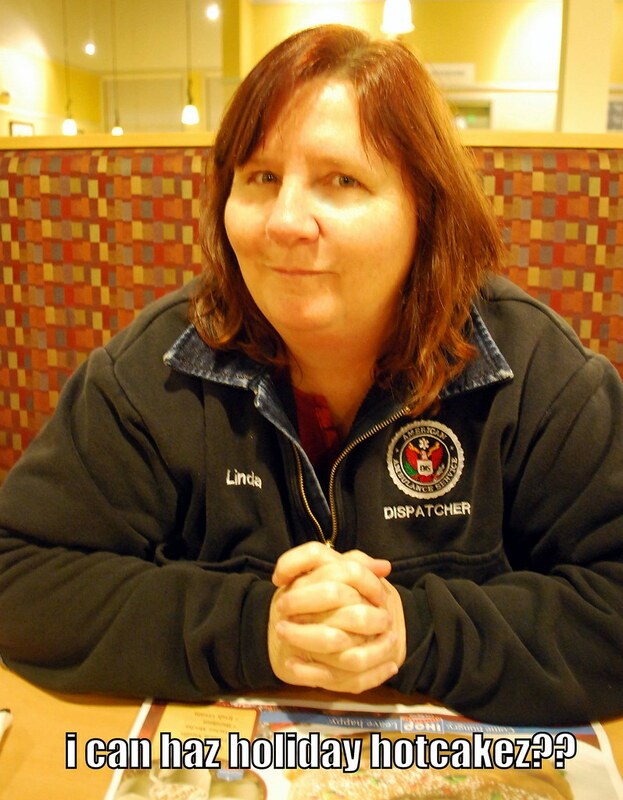 Lovecraft and holiday hotcakes at iHop! She wanted one and I had been jonesin' for the other since being unmercifully teased by commercials for a restaurant that's not even close to home! 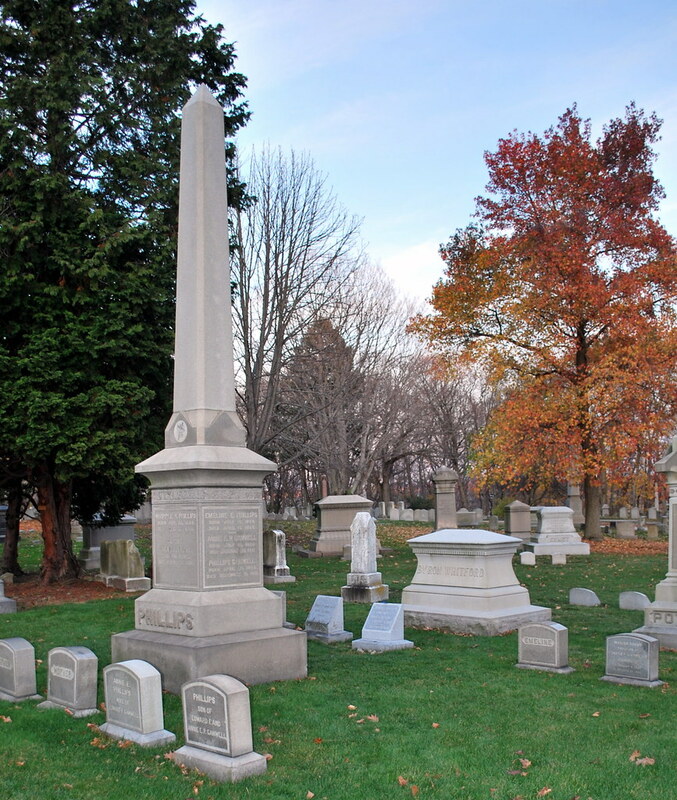 A quick search of the internet showed Lovecraft's final resting place to be within the grounds of the Swan Point Cemetery which is located in northeastern Providence and borders the Seekonk River. 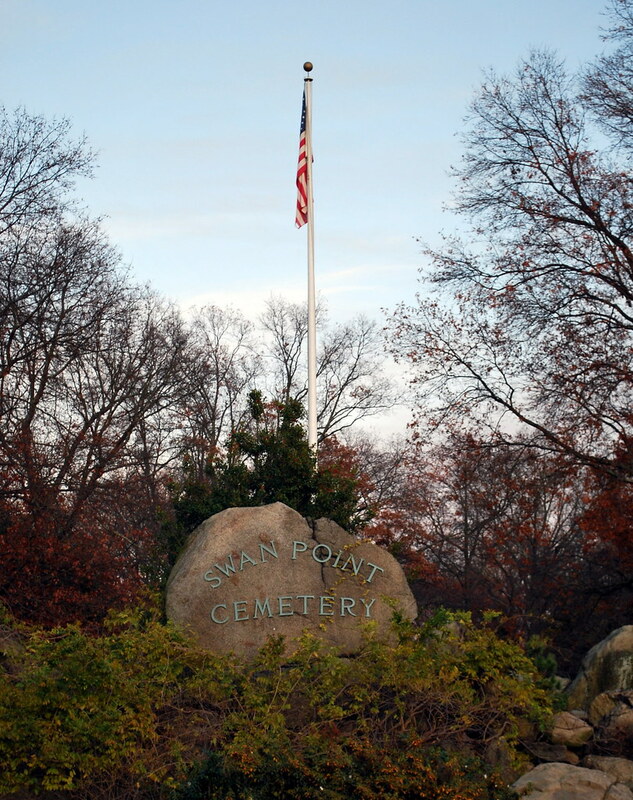 Established in 1846 on 60 acres of land, Swan Point now covers 200 acres and is also home to the remains of 23 Rhode Island Governors, 10 Civil War Generals (including General Ambrose Burnside who made quite the name for himself at the Battle of Antietam - and not in a good way), as well as what looks to be an entire platoon of other Civil War Veterans. With over eleven miles of roadway intertwining their way around the scenic grounds, it obviously wasn't going to be an easy task to find one grave - especially considering that the office was closed and we only had an hour before it was a) dark and b) the cemetery locked up for the night. What to do? What to do? 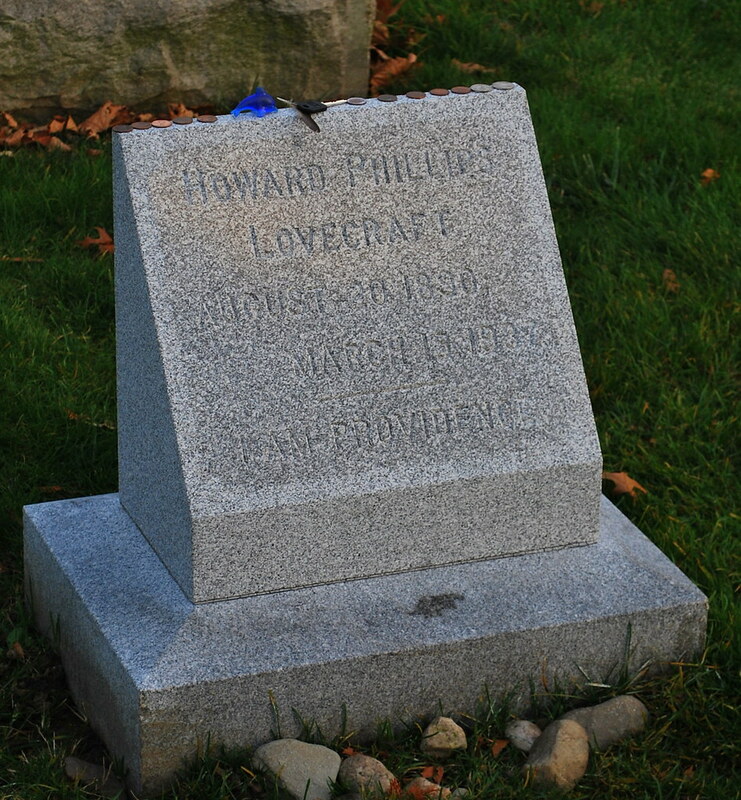 A quick phone call to Kevin, one of my dispatch partners, gave us the needed directions and off we went in search of Providence's own Howard Phillips Lovecraft - an American author of horror, fantasy, and science fiction. 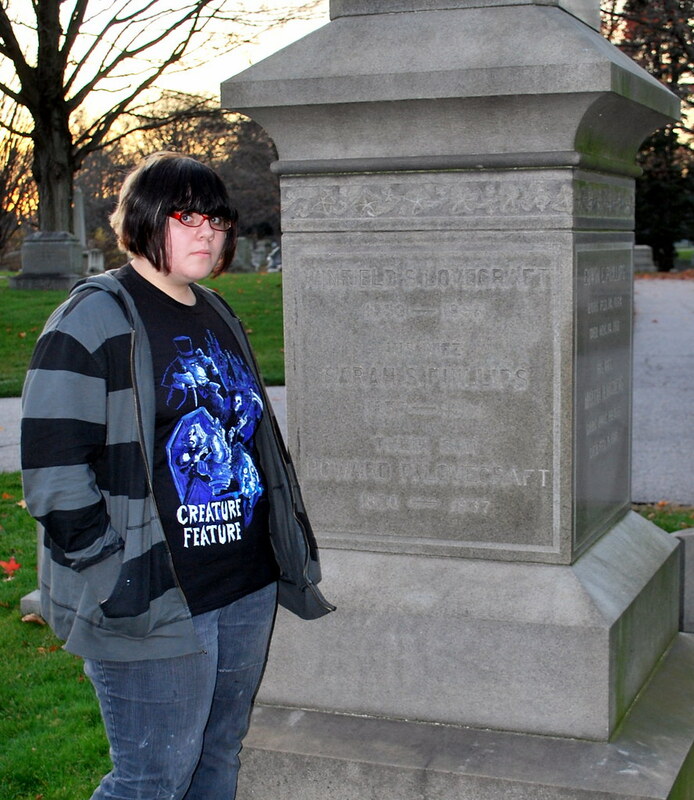 In 1977, a group of individuals raised the money to buy Lovecraft a headstone of his own and placed it behind the bigger Phillips family stone. On this small stone they inscribed Lovecraft's name, the dates of his birth and death, and the phrase, "I AM PROVIDENCE," - a line from one of his personal letters. It's on that small stone that fans of the man Stephen King called "the twentieth century's greatest practitioner of the classic horror tale" leave small tokens of their visit - coins, small stones, a blue plastic dolphin, and ... a car key?? 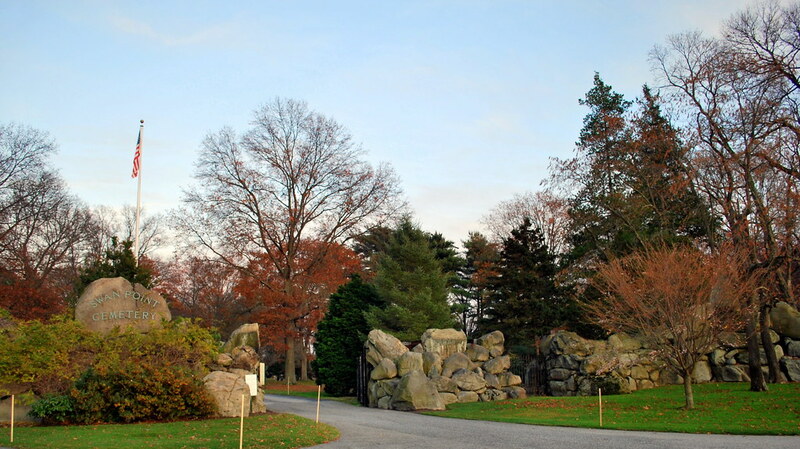 - a cemetery security officer in a white SUV drove up and advised me that there was no photography allowed in the cemetery. At first I thought he was kidding but he told me that it was posted on the sign by the front gate (that I hadn't bothered to read as we really had no time to waste when we first got there). Well, gee, no photography isn't listed on the website and whoever heard of not being able to take pictures in a cemetery? Needless to say, though, rules are rules and I apologized profusely to the security officer who then asked me what kind of camera I had as he has a Nikon D80 and he thought mine looked newer than his. Thankfully he didn't ask to take the camera and delete the pictures but as Amanda and I took our leave I couldn't help but take one more picture of the main office building! I know - shame on me! Such a rule breaker and rebel I am! 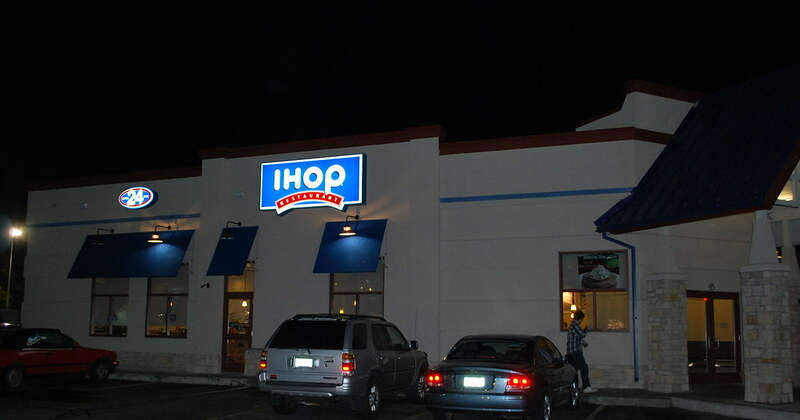 Following my violation of the rules, both of us were pretty darned hungry so it was time to locate the local iHop and tuck into some of those mouth-watering pancakes that I kept seeing on TV but the closest one coming up on the GPS was 40 miles away. Huh? I knew that there was one close by as I had the address printed out and sitting at home on the kitchen counter (of course!) so once again I gave Kevin a call, disturbed his third watching of the new Star Trek movie, and begged him for the address. Thanks again, Kev! Four and a half miles later and we pulled into the parking lot and entered pancake heaven! Amanda didn't want pancakes but "real food" and I assured her that wouldn't be a problem as iHop makes a lot more than just pancakes. She obviously hasn't been drooling over the commercials for the holiday hotcakes like I have otherwise she would have been ordering the same thing! While Amanda ordered chicken-fried steak with mashed potatoes, broccoli, and Texas toast (which if I'm being honest sounded really, really good too!) I opted for the Eggnog Pancakes along with eggs, bacon, sausage, and hash browns. It's a darned good thing the only thing I'd had to eat all day was a small cup of oatmeal around 11:00 a.m. because I was definitely going to need the room for all of that - not to mention maybe walk back to Connecticut to work off all those calories! Still, it was the holiday season ... almost ... and a bit of a treat was in order, right? ... my Eggnog pancakes which looked (and tasted) really, really good! Next time we take a road trip to find an iHop (hopefully next month with our friends Jason & Amy) I'm going to try the Pecan Pancakes but at least for now I can watch those darned commercials and be able to say that "Yes! They taste as good as they look!" rather than wondering if they do. All in all it was a nice little road trip on a late Saturday afternoon/evening except for one small snag on the way back home. There was a pretty good accident on the Interstate and they had to close down the southbound lanes of Route 395 so that the Lifestar helicopter could land to transport one of the victims. Guess who I called for information about the accident while we were waiting? Yep! Thanks again, Kevin! I owe you and I sure hope you got a chance to finally fnish your movie! Interesting title--not items that normally go together, but it made me smile. That is SO you! No photos in a cemetery? I would have been a rebel also. Just sayin'. Dumb rule...like the flash is gonna hurt the granite. I love Amanda's new hairstyle! May I have sausage and eggs instead? Over easy with sourdough toast! I'm glad you and Amanda had a great outing. I've never heard of not being allowed to take pictures in a cemetery either. Way strange. "On-star, how may I help you today Linda?" Not a problem. And yes we did finish the movie and boy do I need to talk to you. See you tomorrow. Maybe you should bring Kevin along for your next adventure. Not being able to take photographs in a cemetery seems, well, highly irregular. How on earth could taking photos be a problem? Perhaps they are afraid you might catch some spirits unawares? Oh, by the way, you can't wear earphones either. Jeesh! 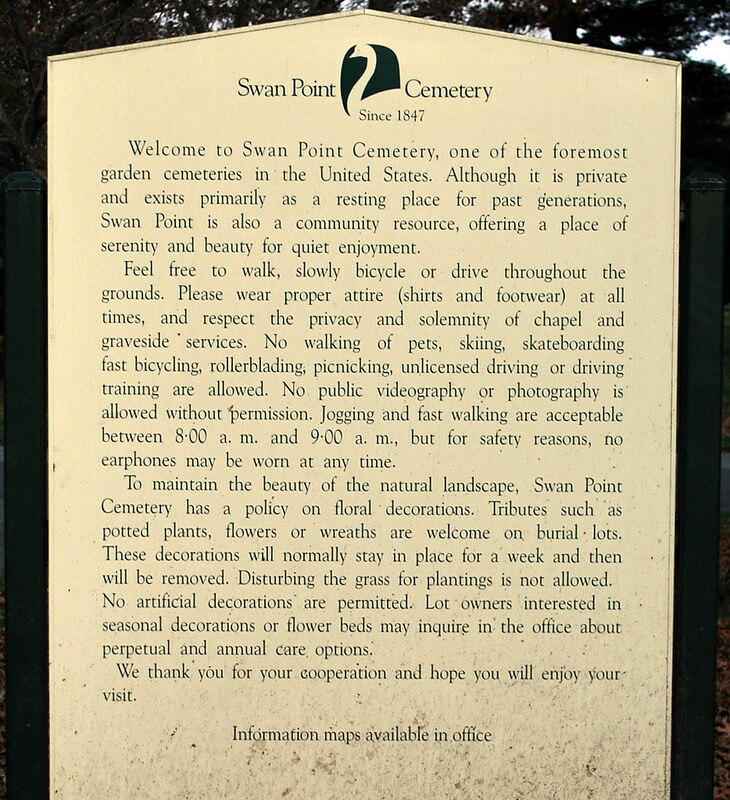 That is really neat that you went to Swan point Cemetary. I am very interested in the Civil War. 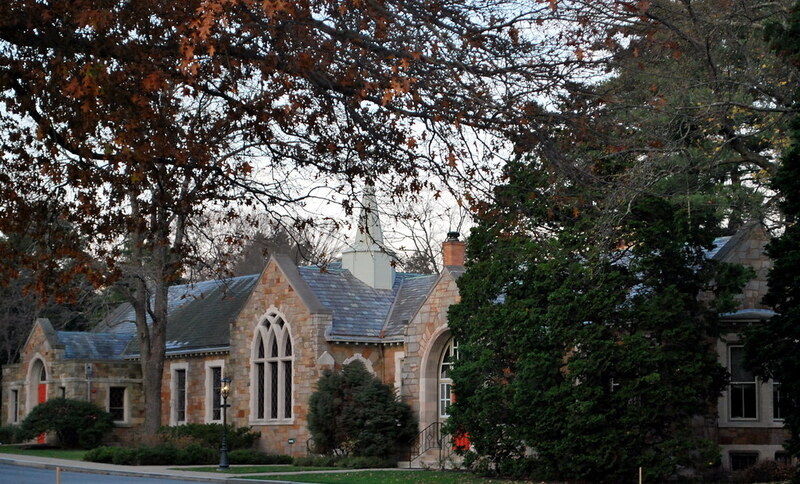 I didn't know General Burnside was buried there. I was in Gettysburg recently. 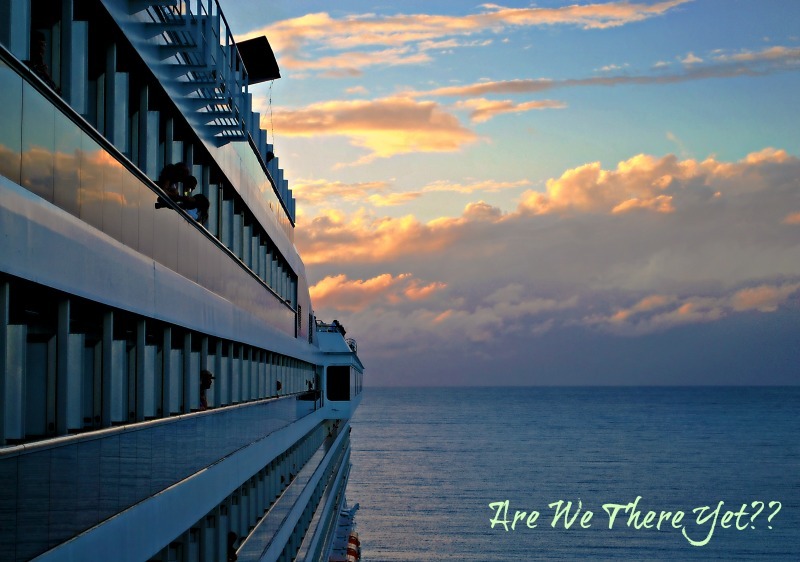 You guys definitely need to go there! Anyways, I used to go to IHOP with my family but we may want to keep in mind that the company has been exposed for food safety issues and animal cruelty in its supply chain. For more details, please check out: www.humanesociety.org/ihop. 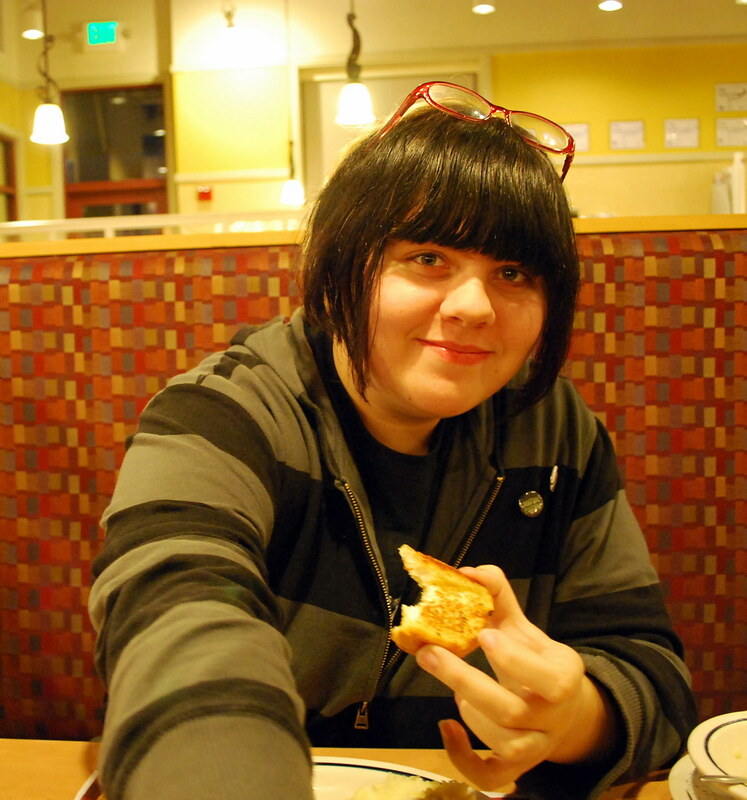 I just wanted to let you know about what's going on at IHOP. Thank you and have a lovely day! Thanks for stopping by and giving me a heads up on iHop; I read the link and I'll definitely add my voice to those requesting that they switch to more humane conditions with the hens that they use for their eggs. It's sad to think that anyone would still treat birds or animals that way. I have been to Gettysburg - about five times - and absolutely can't get enough of the place. I didn't know about Burnside at Swan Point either so will have to go back sometime and check that out - without a camera of course (wink, wink!). Short on time... but had to say... YUMMY!!! I soooo would drive that far for those. Great pics, despite being a rule breaker! You rebel. YOu should be shooting with a Canon. Hahaha. hmmm, no camera's allowed...Guess you will have to borrow a cell phone with a camera instead ha ah. I'm more of a Poe guy - never got too much into Lovecraft - but maybe I'll have to give him another shot..
Great photos - and as far as the rediculous rule of no photography.... 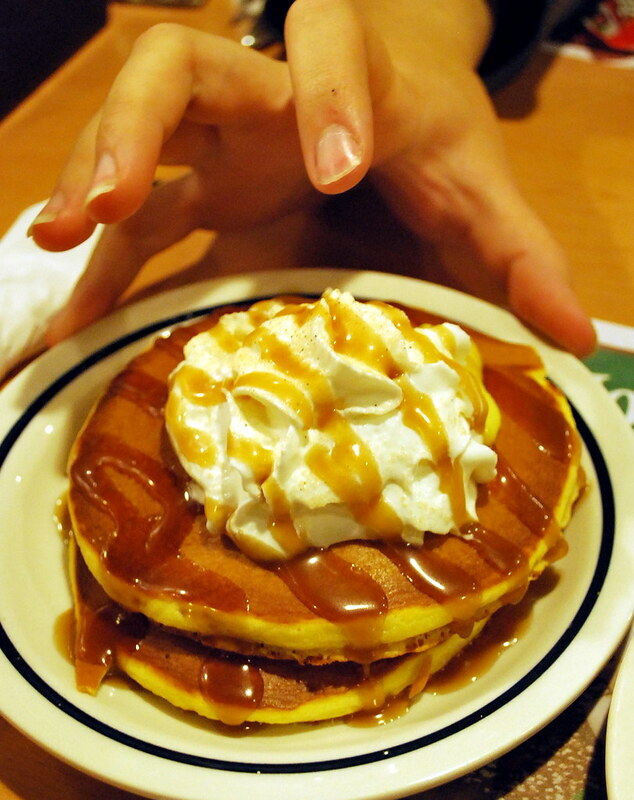 I have two words..
That is really cool how you took the pankcake photos! I don't like cemeteries that don't let you plant flowers/trees/plastic flamingoes or take pictures to your heart's content....I mean those folks paid a lot for that plot! !